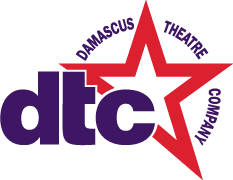 Damascus Theatre Company is a not-for-profit community theatre group that brings quality live performing arts to Damascus and the surrounding area, and provides affordable opportunities for people of all ages to participate and develop skills in all aspects of live theater. We consider our community a family and encourage others who love theatre to join us! Support the Damascus Theatre Company! Your donation helps support DTC’s annual programming and operations. Help us make great musical theatre! For volunteer opportunities, contact us at info@damascustheatre.org. We are always looking for talented actors and actresses to join us at the Damascus Theatre Company! You can learn about our upcoming auditions by visiting our auditions page on the website, following us on Facebook OR joining our email list. Follow Damascus Theatre Company on social media!